50 cm by 60 cm mesh bag with draw string. Designed to carry all swimming gear E.g. 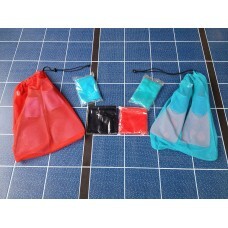 swim fins, goggles, cap and allow to dry naturally.